Update your bathroom with new tub wall kits from PlumbersStock and save while adding a fun new design element. The right bathtub solution can make all the difference and if you are in the market for wall panels, then choose a discount option here. 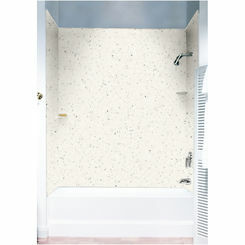 PlumbersStock.com offers a wide selection of single and multi-piece bathtub wall surrounds designed to fit in almost restroom. 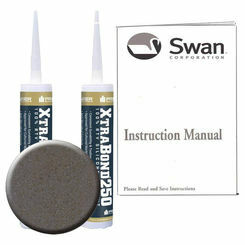 With trusted manufacturers, we confidently offer a large selection of quality tub wall kits. 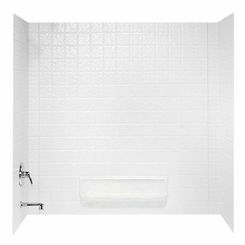 Browse through thousands of options here, and be sure to find matching soap shelves, grab bars, and shower doors for your updated installation. These two terms are often confused, so let’s set the record straight. 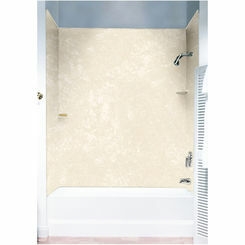 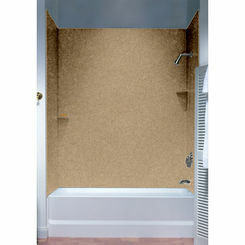 Bathtub wall panels are typically only 4’ tall and may be for a bathtub/shower combo or for a bath alone. Shower walls are designated for shower units and are much taller. 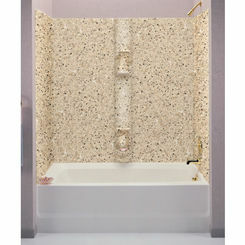 Tub walls may be one-piece or multi-piece units and come in a variety of designs. 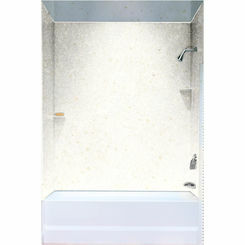 They can be purchased separately or as part of a complete bathtub/shower kit, which will provide all the coordinated elements you will need to add a separate shower to any bathroom. 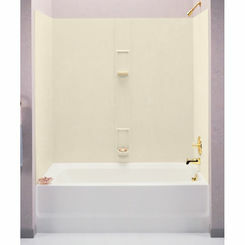 One-piece units may be too large to maneuver into an existing bathroom and are suggested for a new construction. 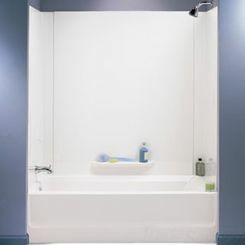 Two and three-piece walls are ideal for existing bathrooms because they are much easier to maneuver and assemble in the pre-existing space. 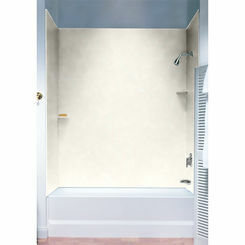 Four and five- piece units are also available for maximum adjustability, but are not most commonly used. 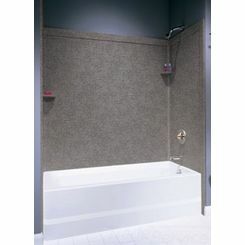 Bathtub wall sizing can vary, but typically the standard is at least 36” wide for comfort and safety. 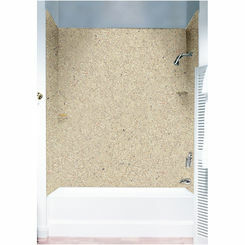 Wall panels may be installed as a single U-shaped unit or as separate panels that fit together to provide a near seamless watertight surface in your bathtub and will require no grout. Most often tub wall panels are made of sturdy composite materials finished with acrylic or a polyester coat. 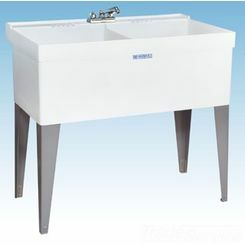 These attractive surfaces are easy to clean, maintain and resistant to chipping, cracking and peeling. 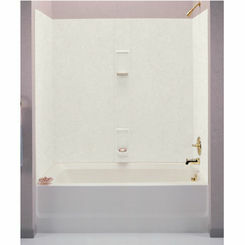 There are a wide variety of styling, textures and finishes to match any décor requirements.